My first impression of this book – Wow, this is long! Now, that isn’t necessarily a bad thing. Sometime books must be long to achieve its goal. I feel like this one could have been condensed though. There were times where I felt that what I was reading was a bit redundant. That being said, it was a very interesting book. 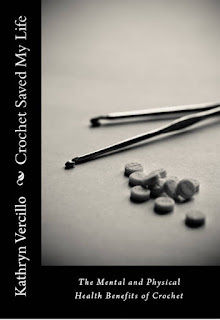 I was wondering how a book completely about crochet could be interesting all the way through, but it was. 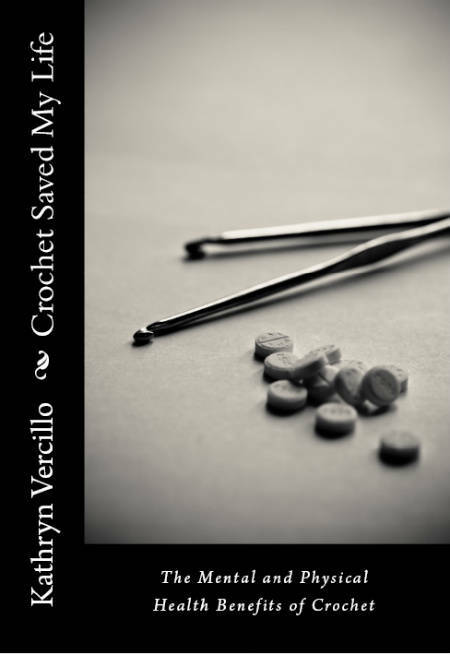 Kathryn explores many different mental and physical ailments that can be helped by the use of crochet. I didn’t know something so simple could help many symptoms of these complicated disorders. It was interesting to read each different section. She gives a brief description of each disorder and then explains how the use of crochet helps different symptoms. She shares her own persona stories as well as stories of other individuals. I think this is what keeps the book interesting and not feeling like a text book. Anyone who needs a new hobby, something to help a disorder you are suffering from, or if you already enjoy crochet, I would say you should pick this up and at least read the sections that pertain to you. Or you can just read it the whole way through. 3.5/5 stars. A bit redundant at times, and long – but, overall, it was very interesting. Thanks for sharing my book Courtney and for the great feedback. I didn't think of the book as long myself but I think I tend to read super nerdy dense books. :-p That's good information for me to have as I work on my next book!